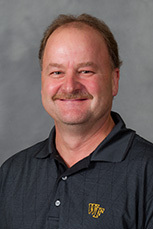 Steve Gunkel joined the Wake Forest faculty in 2011 after having served as the Director of Criminal Justice and Criminology (sociology) Programs at Greensboro College (2009-2011) and Doane College (Nebraska)(1996-2008), respectively. Within this same time frame, and on an intermittent basis, he had the opportunity to offer a wide range of sociology courses at Wake Forest. Dr. Gunkel’s scholarly interests are tied primarily to criminology and social inequality. His two most recent publications (appearing in Sociation Today) are: “From East of Eden to the Pyramids: White-Collar Crime in the North Carolina Context” (Presidential Address given at Annual Meeting of the North Carolina Sociological Association (NCSA)); and “Riding the Storm Out: The Great Recession and Latino Population Growth in North Carolina’s Micropolitan Areas” (co-authored with Ana-Maria Wahl and Saylor Breckenridge). Dr. Gunkel serves as the President of the NCSA. He is also the Senior Faculty Fellow within the WFU Faculty Fellows Program (FFP). Within FFP, he is partnering with Professors Abigail Perdue (WFU School of Law) and Darlene May (Romance Languages) to facilitate the transition of first-year students living in Luter Hall to the Wake learning community.